Cinnamon Gummy Bears: A five-pound bag of spicy cinnamon gummy bears. A five-pound bag of spicy cinnamon gummy bears. If you thought cinnamon candies were addictive before, you'd better mentally prepare yourself for delicious Cinnamon Gummy Bears. These soft, chewy gummies are spiked with red-hot cinnamon flavor to create one of the best cinnamon candies we’ve ever tasted. The spicy-sweet flavor in this bulk bag isn’t enough to sear your tongue, but the bite from these bears will leave your lips tingling as you reach for more. With five pounds to snack on, there’s plenty of high-quality gummy to feed your addiction. Cinnamon Gummy Bears give you a big helping of a little cinnamon spice. While cinnamon-flavored candy is nothing new, these sweet bears take the classic taste to another level. 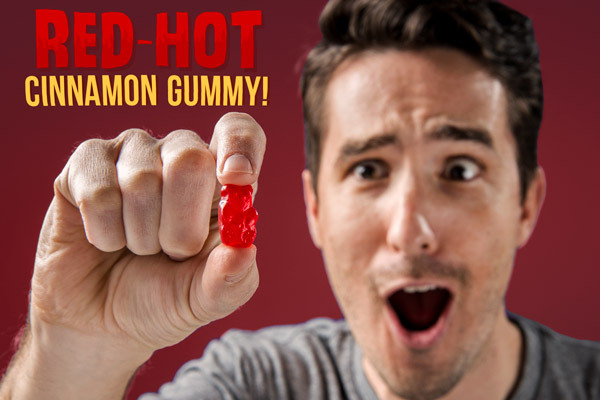 The snack has more zing than a typical cinnamon treat and is made of the same high-quality gummy we’ve become known for in our big-flavor bears. The result is the best cinnamon candy we’ve tasted (and we’ve tasted a lot of candy). They’re the top of the cinnamon bear food chain. There are few things sadder in this world than reaching the bottom of the bag of your favorite snack. Luckily, Cinnamon Gummy Bears come in a five-pound pack to delay the end as long as possible. 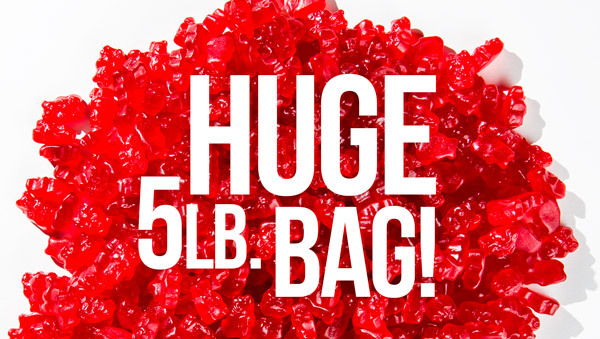 The bulk bag has approximately 650 chewy, soft bears for you to devour. That should be plenty to satisfy your spicy-sweet addiction. Five pounds of cinnamon deliciousness. Question: What makes these different from the cinnamon bears from a convenience store candy aisle? 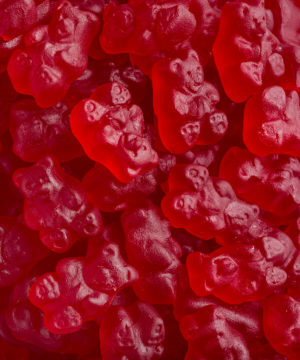 Answer: Simply put, we think these Cinnamon Gummy Bears are a superior product. When a candy is as widely available as cinnamon-flavored gummy bears, we only carry it if we find a version that’s too good to pass up. Question: How spicy are they? Answer: They’re much milder than most of our spicy products. They’re comparable in heat to Hot Tamales.